I ran across a nice article from a law firm in Massachusetts regarding the four types of alimony provided for in the Commonwealth. 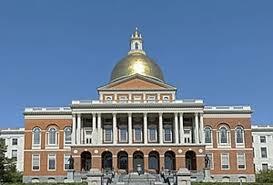 Remember that Massachusetts passed comprehensive alimony reform back in 2011. Minnesota Alimony Reform is trying to achieve similar reform in Minnesota. General term alimony is typically awarded in longer term marriages, but can be awarded regardless of the length of the marriage. Massachusetts’ law provides that alimony should not exceed the recipient spouse’s need or 30% to 35% of the difference in income between the spouses. Marriage of 0 – 5 years: General term alimony awarded for no more than 50% of the number of months of the marriage. Marriage of 5 – 10 years: General term alimony awarded for no more than 60% of the number of months of the marriage. Marriage of 10 – 15 years: General term alimony awarded for no more than 70% of the number of months of the marriage. Marriage of 15 – 20 years General term alimony awarded for no more than 80% of the number of months of the marriage. Marriage of over 20 years: The court may order alimony for an indefinite length of time for marriages for which the length of the marriage was longer than 20 years. There are provisions for ended general alimony upon the cohabitation of the person receiving the alimony or the retirement of the person paying the alimony upon reaching normal full retirement age. This is hardly radical reform which may be the reason the legislation passed the Massachusetts legislature unanimously and was widely supported by women's groups and bar associations. Rick Fleming, president of Vermont Alimony Reform, has a well written letter to the editor in the Chester Telegraph. A reform bill did pass the Vermont Senate this session but unfortunately will not be voted on in the House due to scheduling constraints given the lateness in the session. Although I am sure this is disappointing to our friends in Vermont, it does bode quite well for the future. 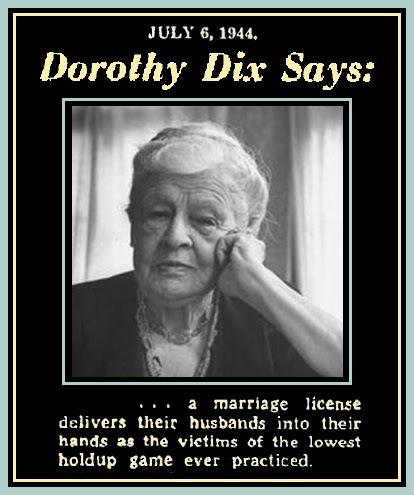 Spousal support should be designed to encourage self-sufficiency and independence for the lower earning spouse through the use of training and transitional spousal support with specific guidelines and formulas to give Family Court Judges direction and guidance, resulting in greater consistency, predictability and fairness throughout the state. Spousal support should not be designed for lifetime maintenance of a pre-existing lifestyle while in the marriage. Formulaic factors could include such items as number of years married, career or professional development constraints such as parental/familial obligations, and physical/mental health considerations. Calculations should not include assumptions of future potential earnings of either spouse based on past economic performance. Spousal support terminates upon the recipient’s remarriage or cohabitation. Spousal support should not include support and maintenance of a former spouse’s new partner, either directly or indirectly. Current payors with modifiable judgments or agreements should have the right to file for a modification/reconsideration based upon the new guidelines until an established date, with specific written reasoning entered to the Court record by the Judge for denying any such attempts at modification. A spousal support obligation terminates when the payor reaches the National Full Retirement Age. Establishing a predictable end date will allow the payor and payee an opportunity to plan and save for retirement. Everyone deserves to retire! Specific guidelines for the term and amount of spousal support should be capped and based upon documented and reasonable financial NEED rather than accustomed lifestyle, with a maximum of 30 percent to 35 percent of the difference between the incomes of both parties. The intent is to create parity between the parties until the lower earning spouse becomes self-sufficient, and NOT based on judicial assumptions of future potential earnings of the paying spouse. The Family Court must honor all legally binding prenuptial agreements, final stipulations and/or contracts between the parties. A subsequent spouse to the payor’s income should never be considered when a payor remarries, either directly or implied. Although it is a few years old now (which in the Internet age doesn't mean what it used to) I felt compelled to email Erica Manfred regarding an article she wrote in the Huffington Press, Should He Pay If He Trades in the Old Model After Decades of Marriage? I read your article on the Huffington Post, "Should He Pay If He Trades in the Old Model After Decades of Marriage?" and would like to make a few comments that you will hopefully take into consideration. There is a myth that they typical lifetime alimony recipient is, as you describe, a woman over 50 who stayed home and cared for the kids while her husband worked and eventually he left her for a younger women. There is zero evidence for this. In fact most divorces are actually filed by women. My own situation is quite the opposite of the one you describe. My wife left me when we were in our late 40s. Despite a custody evaluation that she was not the primary parent, an employment evaluation that she could make make just a much money as me, my paying well into the six figures for legal expense (including her legal expenses), her taking most the marriage assets, joint custody of the kids (although they spent most their time with me) and my paying all expenses for the children, I have to pay her a massive amount of alimony until the day I die. I can never retire nor can remarry because that would oblige my new wife to pay alimony to my ex-wife should I become disabled. I'll emphasize that I did nothing wrong and acted ethically throughout the divorce process. She committed perjury and I have absolute unquestionable proof that her lawyer lied in court and committed fraud. All assents earned by either party in a marriage are joint and split jointly. I understand rehabilitative alimony where it is necessary - although in most cases it is better to just get a bigger slice of the assets at the time of the divorce and be done with it. But this idea that men need to work till death for a woman who left him can only be justified if you believe women are less capable than men. We can never have gender equality until lifetime alimony is eliminated or at least half the time is paid by the women. 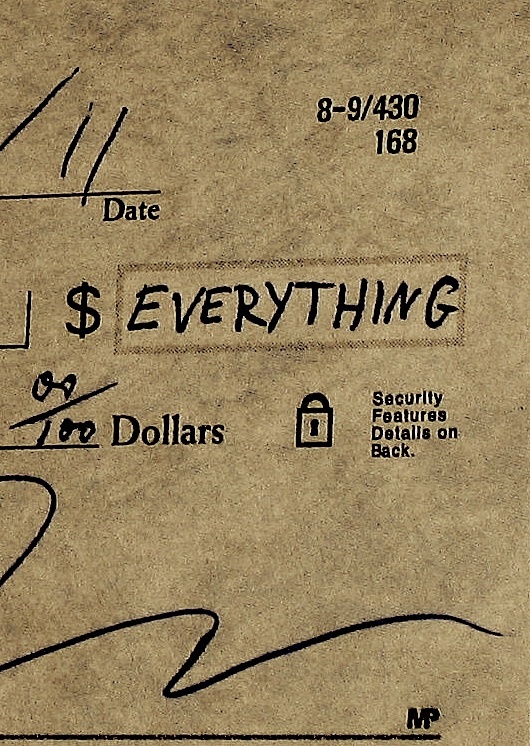 Note that currently some 97% of the time the man is the one who pays. It is easy to find one off stories of people, men and women, who have suffered injustice in the family law system. Rulings are inconsistent, often arbitrary, and corruption is endemic. Although I am sure you did not intend to, stories that give only one side of the story will not make things better. What we need are clear laws, consistently implemented with safeguards for those who need it. In short we need fairness and justice. It would be great if you could write a more balanced article regarding lifetime alimony. I have mentioned before my petition to the Minnesota Supreme Court to change the lawyers rules of ethical conduct to at least make it a bit more difficult for the Office of Lawyers Professional Responsibility (OLPR) to shield lawyers from the consequences of breaking their ethical rules. That is what I hoped for anyway. However, the OLPR recommended agaisnt the change and the petition was denied. After much thought, as well as a broken printer/scanner that took quite a while to fix, I have to decided to break with my custom and post not only their letter to me recommending agaisnt the petition as well as my response to them but am also listing the OLPR director names. I am doing this because I believe the OLPR has acted in my case as well as numerous others in a clearly criminal manner. I feel I have given them every chance to right past mistakes and act ethically and within the law. However, they have consciously determined to act in a manner totally at odds with with the very purpose for which they exist. The OLPR has, in fact, become a criminal organization. Those of of us who believe in a just society need to recognize this and seek to reform it. By publishing the names of the directors I feel I am simply doing my civic duty. Without further ado below are the names of the OLPR directors, followed by my letter to them and their letter to me. 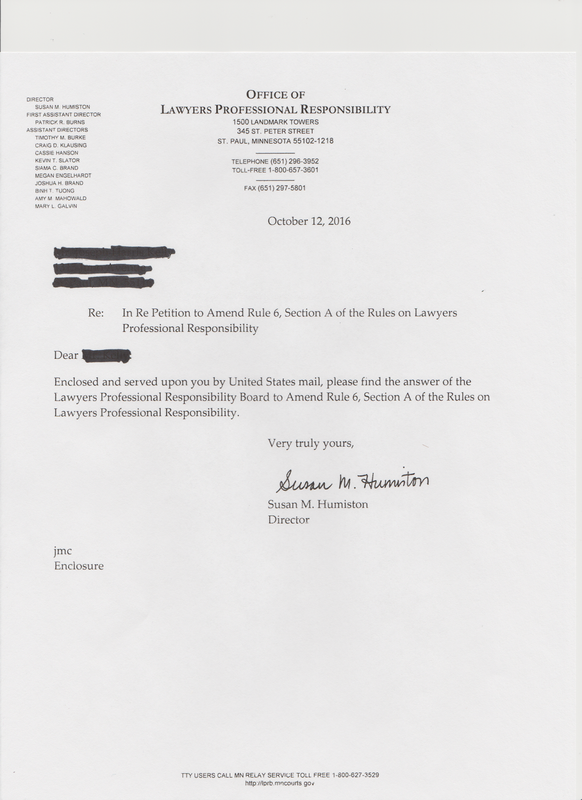 I am writing to express my extreme dissatisfaction with the Office of Lawyers Professional Responsibility's recommendation against adopting the rule change I petitioned the Minnesota Supreme Court to make regarding Rule 6, Section A of the Rules on Lawyers Professional Responsibility. The petition was denied by the Supreme Court. In your response you state that sufficient safeguards are in place already. This is difficult to understand given the facts in the complaint I filed against [Nelly Wince] with your office. Indeed the behavior of your office had been blatantly unethical and clearly criminal. My complaint against [Nelly Wince] is backed by the strongest, clearest evidence possible. It is difficult to understand how a reasonable person could think otherwise. The evidence, which was sent to you, is also available at: http://www.divorceinjustice.org/p/evidence.html. It is available to the public at the courthouse as well. I doubt you consider yourself unethical and a criminal. Pretty much no one, no matter how badly they behave, does. But your actions clearly demonstrate that you are. The National Parent Organization (NPO), whose main mission is to promote shared parenting, has become bigger thorough the merging in of the mainly Florida focused Family Law Reform which now operates as NPO Florida. In April of 2016, Florida Governor Rick Scott vetoed an alimony reform bill because he objected to a provision in the proposed legislation that would have required the court to presume shared parenting was in the best interest of the children. Although I disagree with Governor Scott on shared parenting, I do believe it is a mistake to combine alimony reform with shared parenting legislation. The reality is that alimony itself is often the reason many couples fight over shared parenting in the first place. It is simply harder to argue you deserve alimony if you don't want primary custody of the children. The result is that children often become tools to maximize income for a parent that really does not want, or should not have, the responsibility. Mixing alimony reform and shared parenting just makes it all the harder to make progress as the Florida situation demonstrates. Take alimony out of the picture and battles over parenting become much less contentious. This clearly benefits children. Although I ended up with joint custody of the kids, Spring fought it every step of the way. I have no doubt she would have readily agreed to joint custody, or even me having primary custody, if alimony was not in the picture. After all in practice we have both been quite content with me being the primary parent.